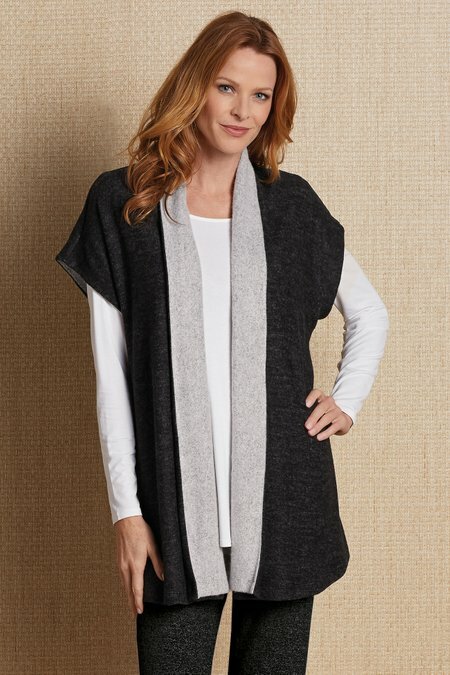 Sensationally soft reversible vest is one of those faves you can toss on over anything for snuggly warmth. With a longer length, and easy, swingy styling, it's cute with jeans, leggings and PJ bottoms - or pair it with 28998 Cozy Cabin Pants for a look of complete comfort. Rayon/poly/spandex. 32" long.